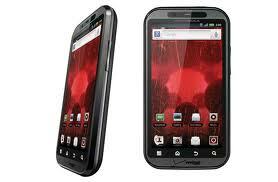 Flip Out Mama: Hot Gift: Droid Bionic! 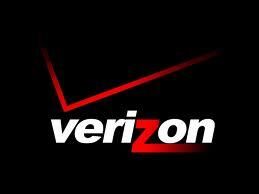 You guys already know by now, my love for all things Verizon! So, when we got a chance to test out the Droid Bionic recently, we were super excited. This was supposed to be an awesome phone, and it didn't disappoint! First of all, it is just so pretty! This phone is really a top of the line. I have never seen anything like it before. What makes this phone really something else is that it has an optional lapdock that connects to the phone, making for a netbook style experience. I thought this was a really nice touch. 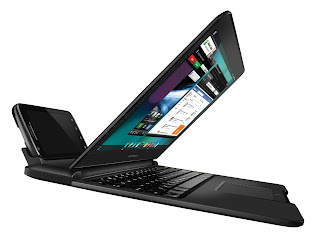 I really liked the option to use the lapdock with this phone! This phone is big, 4.3" on the screen! The display is crisp, clear, and just wonderful! It takes great pics with the 8 megapixel camera, and it has an extra screen for planning and viewing pictures, which I love! The phone sounds great when making calls, I could hear people and they can hear me. No dropped calls as usual with Verizon's service! This phone is FAST! Love it! Great for gaming, great for video streaming, and extremely great for web browsing! I totally recommend this phone for all the do it all moms out there!! disclosure: I received free phone service for the duration of my use of this phone, in this case, a little over a week. At the end of the trial period, I returned the phone to Verizon. All opinions are my own and no monetary compensation was received. It was a great phone at first but I am having problems now with connecting to the internet..Verizon says it's a glitch..motorola is trying to find a fix..I hope they find one soon..